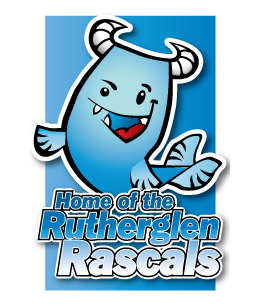 The Rutherglen ASC Club Championships, open to all members, is held towards the end of each year at Rutherglen Lifestyles. This will be held on a training night shortly before or after the Championships day. This year it will be on Tuesday the 13th November. Boys to compete over 1500 metres. Girls to compete over 800 metres (but will time trial 1500m). There will be no water warm up for this event. There will be two swimmers per lane, keeping left and right of centre. No dive. Each swimmer will swim 1500m Freestyle with a time limit of 30 minutes. Times and distance achieved will be recorded. Split times will be taken at each 50, 100, 200, 400, 800 and 1500 metres. Swimmers will be stopped at 30 Minutes irrespective of distance achieved. There will be no formal training on the night of the 1500m Challenge. This meet is usually held on a week night prior to the Club Championships. This year it will be on Tuesday the 20th November. There will be no formal training that night for some squads, however all swimmers in West, Gold and Performance squads will have a training session after the meet. Swimmers must swim one 200m event of the “form” strokes – Butterfly, Backstroke or Breaststroke. Freestyle is not allowed. However, if the swimmer has competed at District level in one of these they must swim a different stroke. If they have performed all strokes at District level then they must swim their worst stroke i.e., the one which scored the lowest points. The 3 events will be swum as mixed, “multi-age group” events (i.e. all swimmers, boys & girls together, seeded by time) in order as above. This is our main gala which this year will be held at Larkhall Pool on Sunday the 25th November 2018. The will be two sessions over the course of the day. After Session 1 there will be a lunch break of approximately 45 minutes. 50m Butterfly, Breaststroke, Backstroke, Freestyle, 200m Freestyle, 100m IM. 100m Butterfly, Breaststroke, Backstroke, Freestyle, 400m Freestyle, 200m IM. 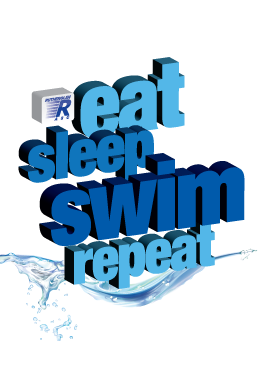 Swimmers must compete in all applicable events for their age group as well as the Front Crawl Kick event. All events will be swum as mixed, “multi-age group” events (i.e. all swimmers, boys & girls together, seeded by time) in order as above. All events will be Heat Declared winners, no Finals. Please click here to view the Club Championships order of events. There is no entry fee to participate in the Championships and all club swimmers from all squads are encouraged to participate. If any swimmer is unable to take part they should let our Entry Secretary know in advance. Registration for each session of the Club Championships and the Top Form Trophy close when the warm-up starts – if you are late you will be withdrawn regardless of circumstances and will not be able to take part. To be considered as the Best Boy or Girl, all swimmers must swim all their Age Group events in Sessions 1 & 2 of the Club Championships. If you are 9 years old or over you must compete in the Top Form Trophy as well as a Freestyle event of 200 metres or more and an Individual Medley event.